Live Nation is pleased to present Bryan Adams in a series of very special acoustic performances across the UK this September. 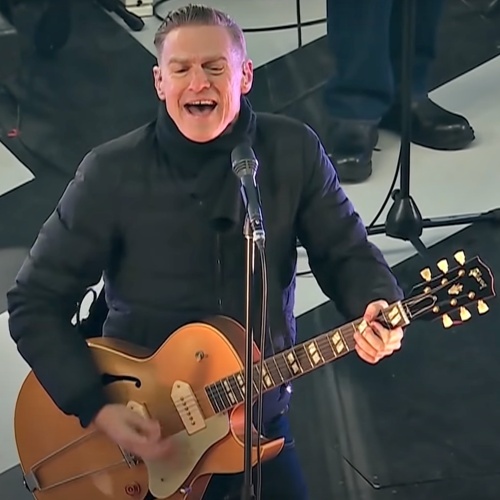 As Canada's best-known ambassador, Bryan Adams has spent the last three decades making music history. He has sold over 65 million records, toured six continents and achieved #1 status in over 40 countries around the world. With hits like, "Cuts Like A Knife", "Summer of '69", "Kids Wanna Rock", "Can't Stop This Thing We've Started", "(Everything I Do) I Do It For You", "Open Road" and most recently "Thought I'd Seen Everything", Adams status as one of the great songwriter's of our time, has been solidified. He is a Companion of the Order of Canada and has been inducted into the Canadian Music Hall of Fame and has a Star on the Hollywood Walk of Fame. Bryan has been nominated for Academy Awards, Golden Globes and Grammy's and his handprint has been added to the Wembley Square of Fame in celebration of his 25th show at the famed stadium. In his home country, Bryan has been recognized at the Juno Awards with the Allan Waters' Humanitarian Award and a week later he received the prestigious Governor General's Performing Arts Award for Lifetime Artistic Achievement. Bryan's outstanding live concerts have established him as one of the world's best rock singers, performing over 120 concerts a year.